I'm so excited about this blog tour! I'm a sucker for anything turn of the century, and especially when it has a western feel to it. I don't know what it is about those early western settlers and their hardships that gets me every time. Today I've got my review of the book and an interview with author Carla Kelly! Enjoy! Julia Darling is finally able to marry her Mr. Otto for eternity. But it's a hard world for a rancher in turn-of-the-century Wyoming, especially a Mormon rancher. And when people start talking, it's up to Julia to prove she's her husband's equal in strength and endurance as she learns to let go of scars on the outside and inside. I was looking forward to the 2nd instalment in this series. I'm enamoured with the time period and I wanted to learn more about Paul and Julia. This story takes place directly after Borrowed Light. Julia has been burned by the fire on the ranch, and Paul's home on the Double Tipi has burned to the ground. What trials await for Paul and Julia? This story is so full of love and longing. There are so many twists and turns that I never saw coming. We get to see so much more of Julia and Paul's personalities in this book. We learn about them as a couple and how much they compliment one another. I loved that. This is practically drowning in Latter-day Saint stereotype again, so if you aren't LDS I'm afraid you won't understand a lot of what is happening. It could have used less of that. But, I still enjoyed the story. 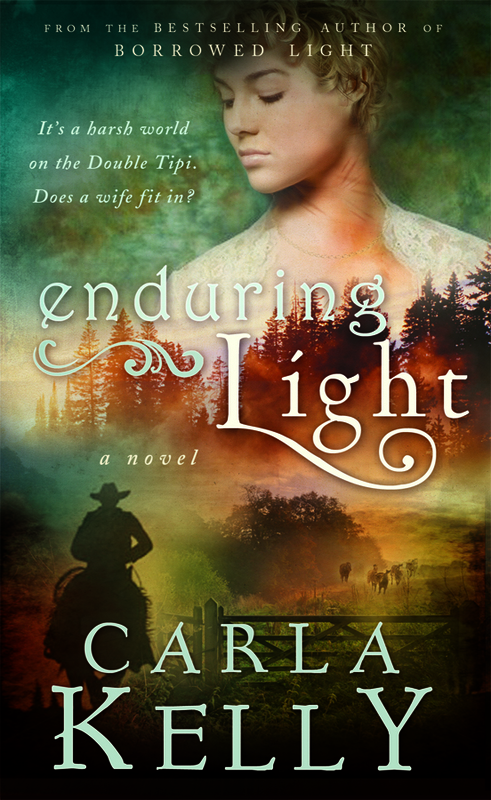 If you are looking for an old western LDS love story, then this is your book! It is quite beautiful! He nuzzled her neck. "I've been wanting to do that for months and months. Tell me when to stop." You are already an acclaimed author, what made you decide to write for a Latter-day Saint audience? For years, I've wanted to write a book for my "own" folks (i.e. Mormons). After quite a few Regency romances, I became typecast as a Regency author only, and that was never fair. I understand how it happened, though - they turned out to be popular, and publishers are only thinking about the bottom line. That's it. 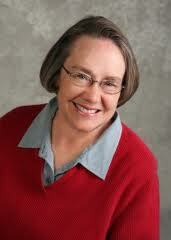 If Carla Kelly writes Regencies that sell, then for heaven's sake, don't shake the boat. I wanted to do something new, and get back to my Western roots. I started out writing and selling short stories about the Indian Wars army and its dependants. What do you like best about writing in this historical time period? I like ranching. My aunt and uncle Trask ranched in Montana (east of Billings), my dad was from Cody, Wyoming, and Martin and I lived in Eastern Wyoming for a few years, where this story is set. Ranches are hardy souls and they make good subjects. Tell me: who doesn't like a cowboy just a little? More to the point, I like to write about times that are changing. In 1900+, with the shrinking of the open range and the growth of agriculture on lands that used to be exclusively for bison and cattle, you see change coming, sometimes painful change. Changing times are always good times for writers. My principal guide through this was A.B. Guthrie's novel, Arfive, which is set in the Choteau, Montana area (his home) on the front range of the Rockies. It takes place between the 1880s and the 1910s, when this change was going on. A great book. Guthrie may have written more famous books, but Arfive is my favorite. (Incidentally, Arfive is a brand, just as Double Tipi -TTP- is a brand.) Another thing I like about the 1909-1910 era is that the people are more like us than the folks in the 19th century. They spoke more like we do, and had similar experiences. That appeals to me, too. For those who haven't read Borrowed Light, tell them a little bit about what they can expect from this series. There is a satisfaction in pleasing an audience that seems to enjoy what I write. I really take the stewardship of words seriously. I mean, really. All I do really is write the book I want to read. I'm reading about mining and the WInter QUarters mine disaster, and also southwest borderlands history, another project close to my heart. Thanks so much Carla! 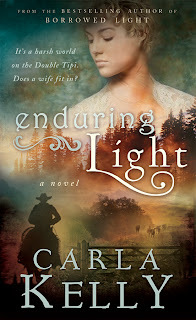 I know I'm sure hoping there is a sequel to Enduring Light!